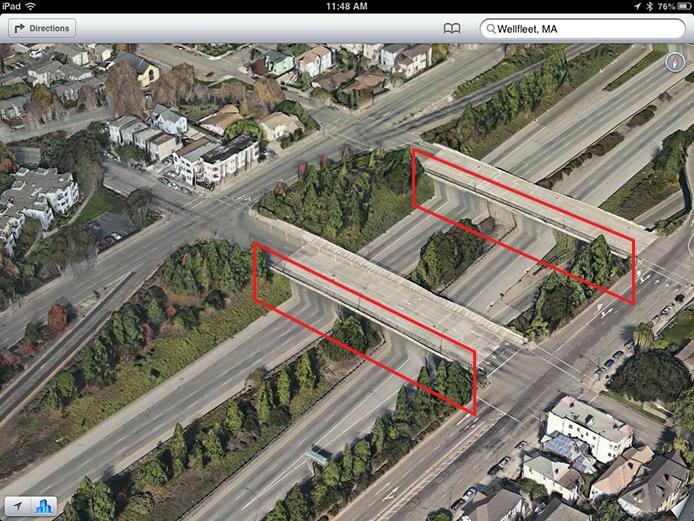 Customers around the world are upgrading to iOS 6 with over 200 new features including Apple Maps, our first map service ... We are excited to offer this service with innovative new features like Flyover, turn by turn navigation, and Siri integration. We launched this new map service knowing it is a major initiative and that we are just getting started with it. Maps is a cloud-based solution and the more people use it, the better it will get. We appreciate all of the customer feedback and are working hard to make the customer experience even better. The new Maps app baked in to iOS 6 replaces Google Maps, the service Apple has used since the first iPhone was launched in 2007. A round of iPhone 5 reviews published on Tuesday found Apple's first attempt at a mapping service to be comendable, but not nearly as functional as the tried and true option from Google. 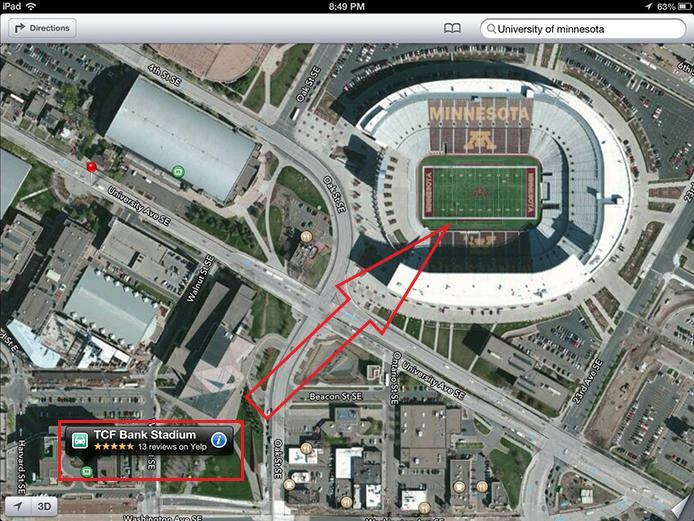 For example, Maps doesn't support transit routes out of the box and the flyover feature, while impressive, is limited. A number of iOS 6 users have reported inaccuracies with the new service, including misrepresented locations, decades-old place names and incorrect tagging of businesses. Also at issue are incomplete mapping data, bugs in Flyover rendering and a gross lack of specific building data iOS users have come to expect from the legacy Google Maps-based app. 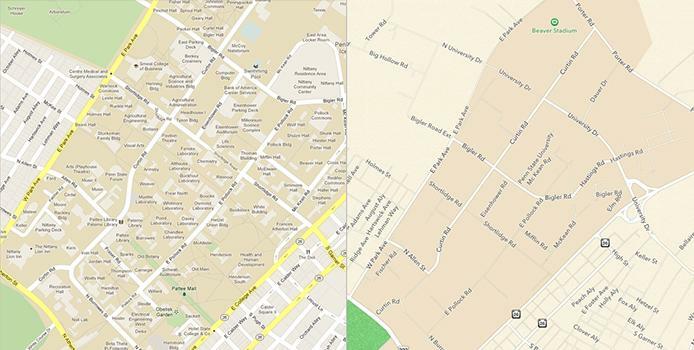 Google Maps' building data (left) versus same view on Apple's Maps (right). Such shortfalls are to be expected from a fledgling product, especially when compared to a well-established service like Google Maps, which has seen constant upgrades and tweaks for nearly a decade. According to All Things D sources, Apple is keeping its Maps team "under lockdown" to fix some of the larger errors seen in the new app, though it is unlikely that any significant changes will be made in the near future.